Melvin who grew up in New York City, is the epitome of "That Guy!!" Many as kids (back in the...playing with Matchbox days), were often inspired and/or dreamed of having a "Super Cool / Fun / Working & Playing with Cars" type of job (I know I did...). Melvin Betancourt did too, but the difference is, he was dead serious. After first laying eyes on his fathers new, Red 1970 302 Boss Mustang at the young age of 9, he was hooked, and emotionally motivated!! Melvin immediately took to drawing...drawing both cars & fashion, creatively expressing his thoughts, visions, and ideas. Drawing cars always "pulled at him though" quoted Melvin. It was to the point that he had to act upon it! He strategically mapped out his approach to getting there...and now on this very day in December of 2014...he possess the title of "Ford Designer," with 27+ years under his belt within Ford Motor Company and it's various programs (See below for program list) . 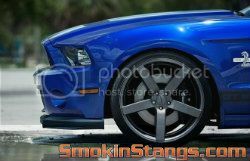 Exterior and interior design of SVT, Vehicle Personalization, Feature Vehicles, subsequent support of the SEMA Show, Movie Vehicles(NFS Mustang) and Charity Vehicles. Inside the industry, Melvin is well known for leading up Ford's Dollar ($) Car Program/ SEMA based campaigns. The Dollar Car Program is a great way for both Ford, along with the hand selected Manufacturers/Customizers to annually showcase "the goods," of which is then in turn used as a means to gauge consumer reaction & interest. Melvin was also heavily involved and most influentially with regard to the "Need For Speed" Edition Mustang. If you look close you will see "Sneakily embedded S550 DNA" enclosed within this design!! 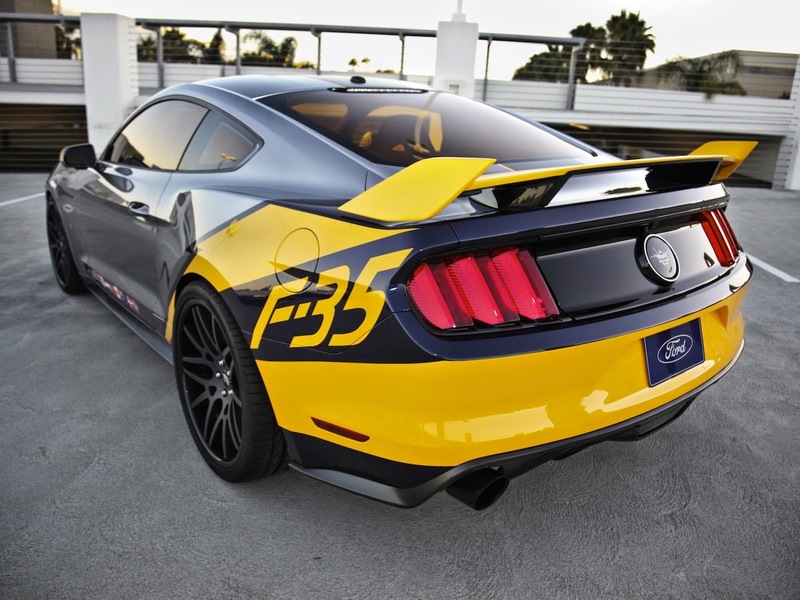 Additionally he was involved with the 2015 Mustang F-35 Lightning II Edition One-off build project via Ford & EAA (Experimental Aircraft Association). Designer Melvin Betancourt sits down with Chris and A.J. on the CarStories Podcast to talk about SEMA 2014 and Ford’s Dollar Car Program. He explains how car customizers from all over the country submit proposals for the opportunity to build and show off their cars in Ford’s booth at SEMA. Eleven years ago, Ford designer Melvin Betancourt suffered a serious heart problem and had to undergo intense open-heart surgery at the Henry Ford Hospital in Dearborn, Michigan. The surgery was a total success, with Betancourt crediting Henry Ford's doctors with saving his life. Now, the designer uses his expertise as a way to give back to the medical field that helped give him a second lease on life. 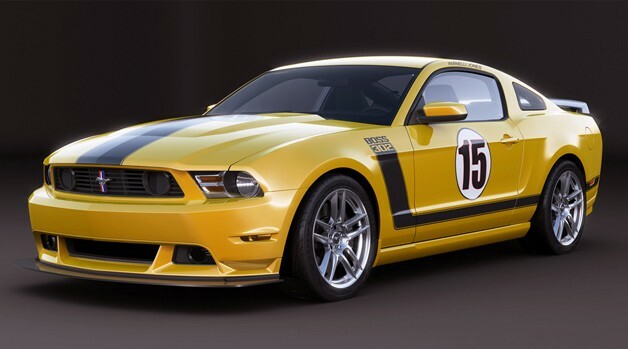 This special edition 2012 Mustang Boss 302 Laguna Seca has been done up as a modern interpretation of the famed coupe Parnelli Jones raced to victory in the 1970 Trans-Am Championship. Painted in School Bus Yellow and complete with black accents and number decals, the Boss will be auctioned off at the Get Your Heart Racing benefit on October 15. The benefit is sponsored by Ford Motor Company and the Henry Ford Health System and raises money for cardiovascular care, research and education. More information is available in Ford's press release after the jump. Latest Ford concept debuting at SEMA this week is a Police car in a plain black wrapper inspired by the SR-71 Blackbird. 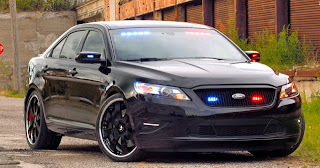 Using the strong lines and muscular stance of the Ford Police Interceptor sedan as a base, Ford designer Melvin Betancourt developed a customized undercover stealth version that’s both stylish and full of high-tech surprises. The production Police Interceptor sedan was introduced in March, followed by a utility version in September. Both Interceptors will debut when production of the Ford Crown Victoria Police Interceptor ceases in late 2011. Betancourt started the undercover version by lowering the body one inch, giving the illusion of added width. 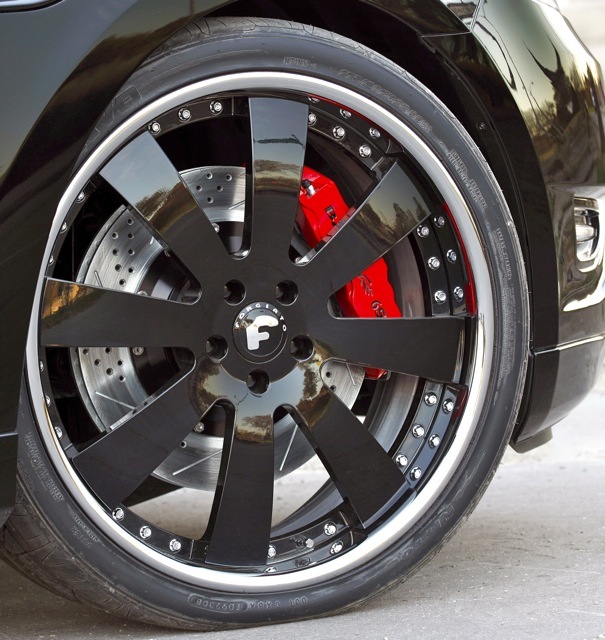 The unique 22-inch wheels are inside a staggered rim section so the front is 3 inches and the rear is 3.5 inches. Betancourt used imagery of the SR-71, the original stealth airplane, for inspiration as he customized the vehicle. Known as the “Blackbird,” this high-altitude, long-range reconnaissance aircraft was secretly designed in the late-1950s, early-1960s. Its top speed was more than three times the speed of sound. Long retired, the Blackbird is considered by many aviation enthusiasts as the ultimate airplane. The exterior of the stealth Police Interceptor is solid black. A mesh grille, like the original sedan but thicker, offers more depth. Lights are traditional for unmarked cruisers: inconspicuous, with the surrounding areas painted black so they blend in until illuminated. At the rear is an aggressive spoiler adorned with bead lights painted black so they remain unnoticed until the car is started. Taillights are smoked; windows tinted. It’s a vehicle that exudes power – and it should. The production Police Interceptor sedan model offers two powertrain options, allowing police to choose the engine that best meets their needs. 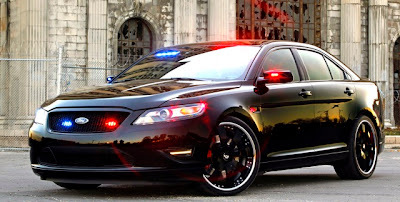 A 3.5-liter V6 engine delivering at least 280 horsepower and E85 compatibility is 25 percent more efficient than the 4.6-liter SOHC V8 offered in the current Ford Crown Victoria Police Interceptor. And an all-new 3.5-liter twin-turbocharged, direct-injection EcoBoost V6 engine will deliver at least 365 horsepower and 350 pound-feet of torque across a broad rpm range. 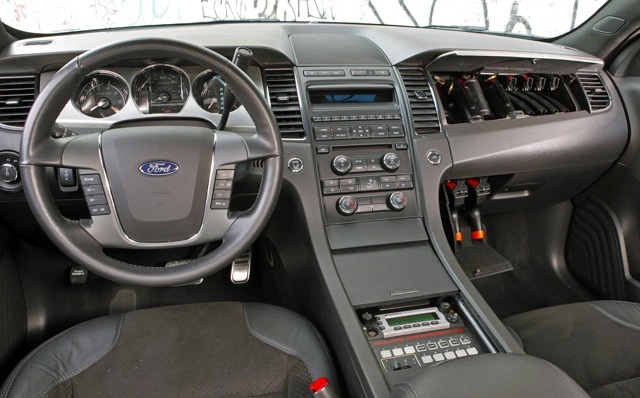 Ford’s stealthy-styled version of its Police Interceptor sports a minimalist interior. “It’s all about concealing everything. The headliner is black, we wrapped the B-pillars in black, and then we started looking at, ‘Where can I hide this?’ How can I conceal this?’ We repackaged the console – it looks like a production console with the waterfall of the instrument panel. But when you start opening doors and panels, that’s when you see everything,” said Betancourt. Unless you’re supposed to be in the vehicle, you won’t know where and how to find the compartments, he said. For example, the radio is hidden inside the console, as is an onboard computer. Also, the glove box has a secret space designed for weapons. 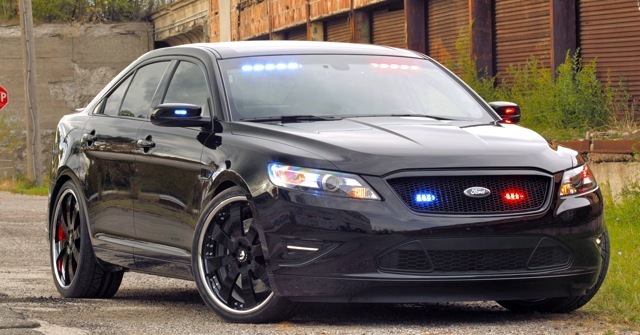 The stealth Police Interceptor will be on display throughout the SEMA show, which runs Nov. 2-5, 2010. Ford testing car with motor in wheels..
Excerpts from "American Icon: Alan Mulally and the Fight to Save Ford Motor Company"
Fenway to be returned to 1912 design?? ?